NO. FD.P.C. 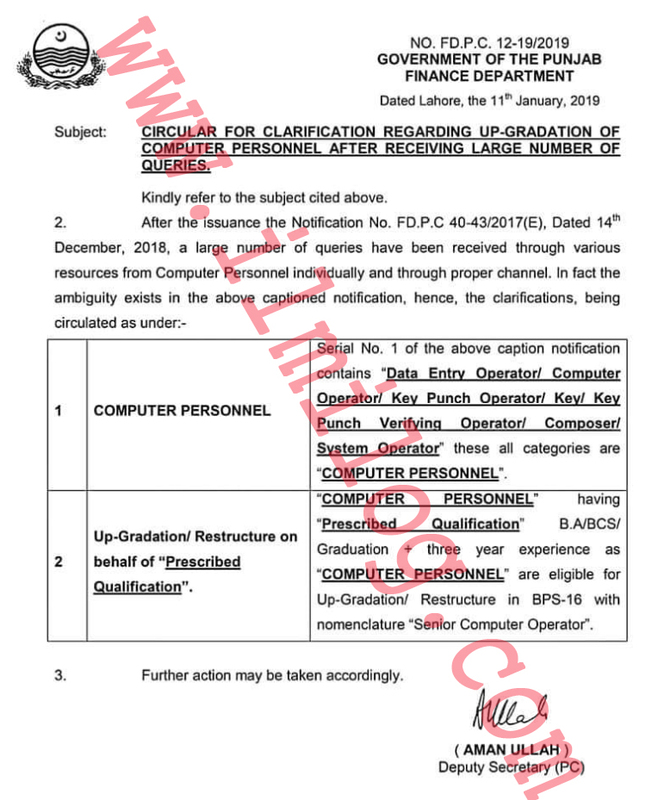 12-19/2019 Dated Lahore, the 11th January 2019 regarding the department of finance Punjab about up-gradation of computer personnel by a government of the Punjab finance department. CIRCULAR FOR CLARIFICATION REGARDING UP-GRADATION OF COMPUTER PERSONNEL AFTER RECEIVING a LARGE NUMBER OF QUERIES. Serial No. 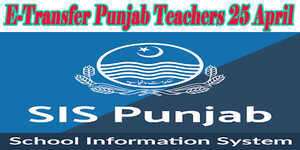 1 of the above caption notification contains Data Entry Operator/ Computer Operator/ Key Punch Operator/ Key/ Key Punch Verifying Operator/ Composer/ System Operator' these all categories are "COMPUTER PERSONNEL". COMPUTER PERSONNEL-having-(Prescribed Qualification) BNBCS Graduation & three years’ experience as COMPUTER PERSONNEL are eligible for Qualification. Up-Gradation & Restructure in BPS-16 with the nomenclature (Senior Computer Operator). 3. Further action may be taken accordingly.